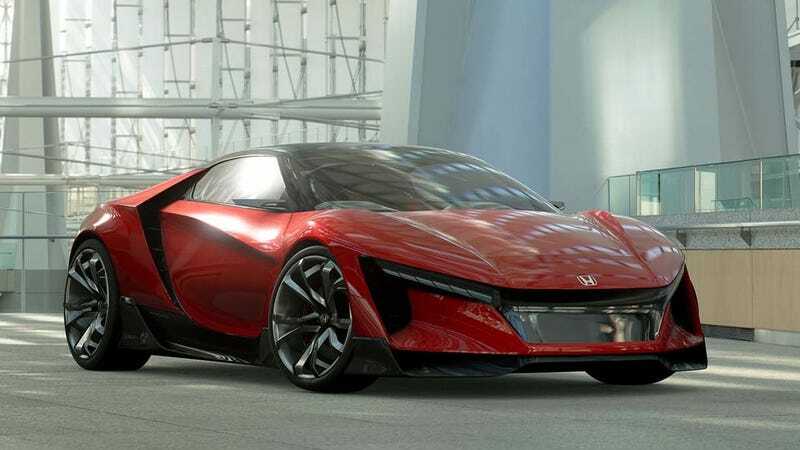 For years now—yes, years—we’ve been teased with patents and renderings and mysterious photos that led us to believe Honda was making a new, small mid-engine sports car often dubbed the “baby NSX.” That seemed too good to be true. And it was. 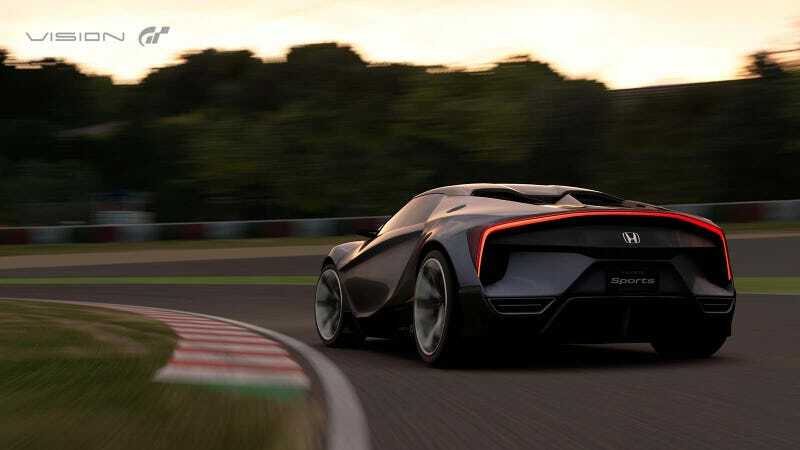 We now know it’s a Gran Turismo-only concept, not a real car, and here it is in full. We find ourselves wishing it was real anyway. 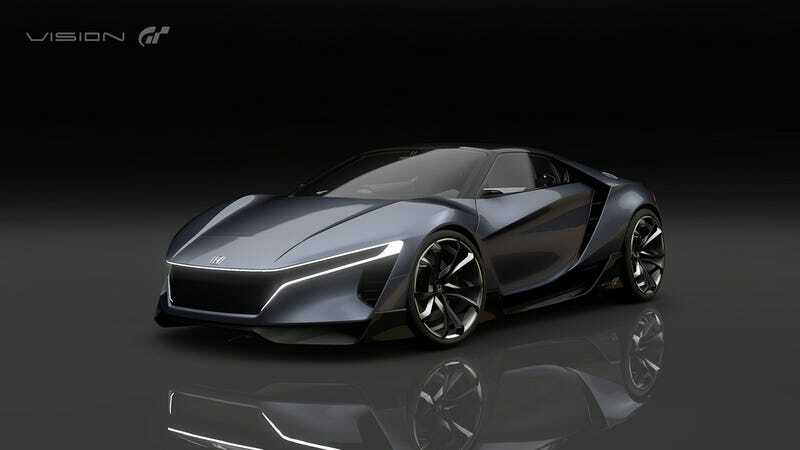 This is the Honda Sports Vision Gran Turismo. 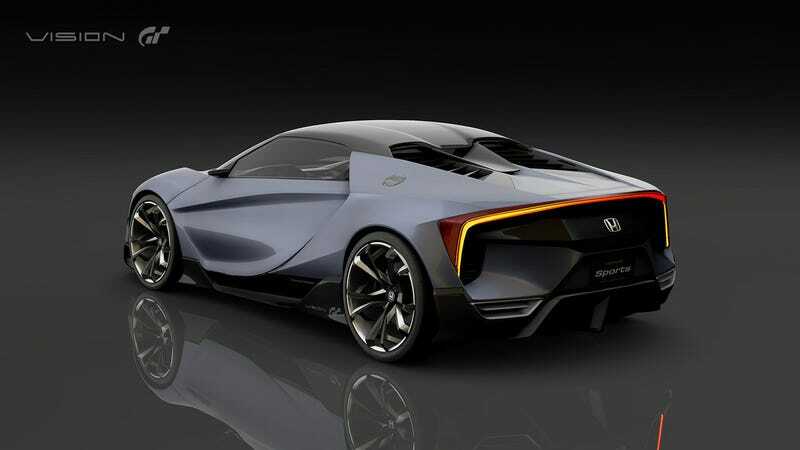 It’s actually kind of interesting because it’s the result of a Honda design competition that happened across the globe. 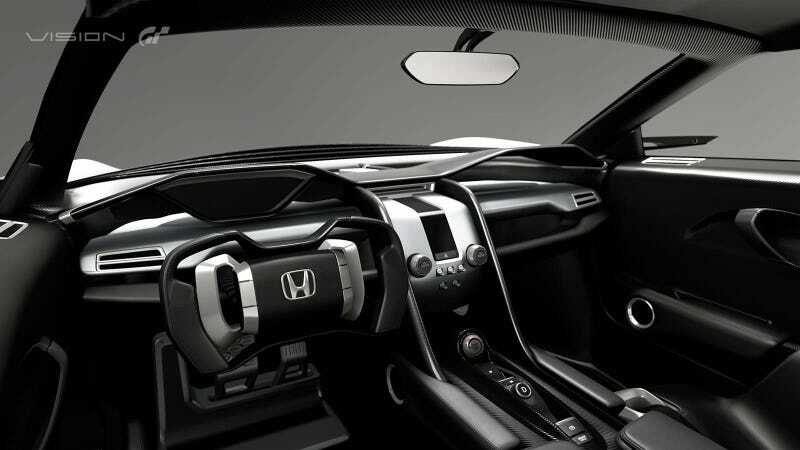 When the model was finalized, Honda said, teams from the U.S. and Japan all worked to bring it to digital life. 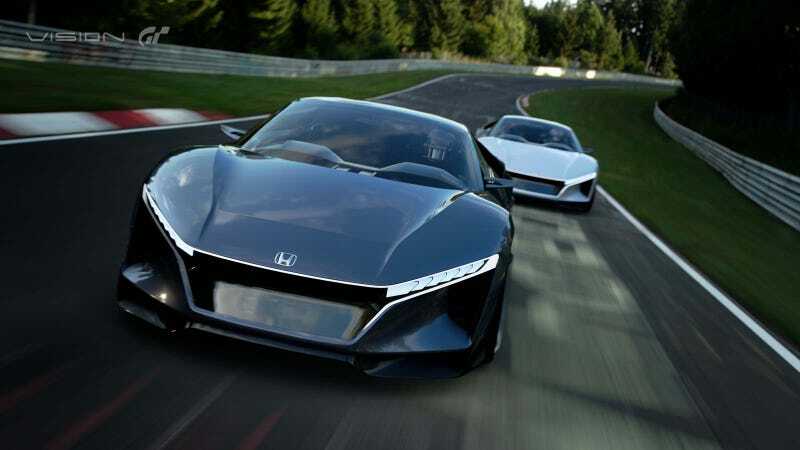 The “Honda Sports Vision Gran Turismo” brings to life the design direction of Honda, “Human Centered Design”. This is a human-centric way of thinking that is brought to life in the package design, where the position of the passengers, engine, and tires determines the shape of the car’s structure. 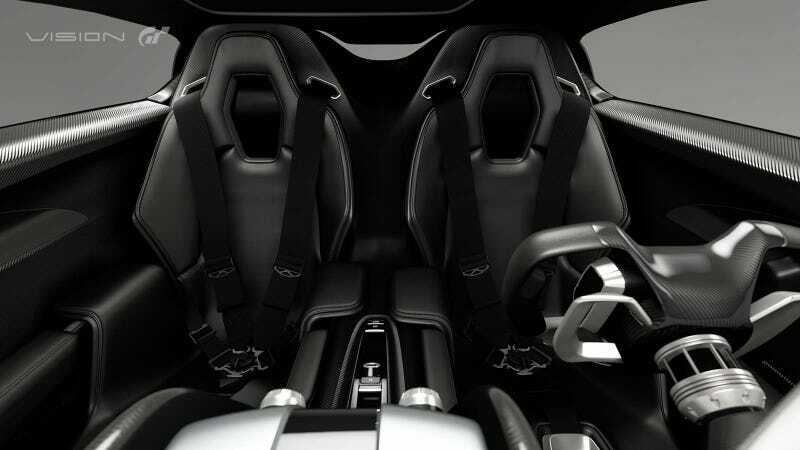 The proportions of the car that makes it look as though it is about to propel itself forward, the clean cut body and the powerful front and rear fenders that spreads wide with air intakes, and wheels that combine function and beauty; all these things that are expected of a sports car, are expressed in the strong sense of presence emitted by the car. I like it. But I’m predisposed to liking small, mid-engine cars, especially ones with 404 horsepower like this one has. The juice comes from a turbocharged 2.0-liter turbo four and is put to the road by an eight-speed dual clutch transmission. I know this thing will never be real, but I’m a fan anyway. Hell, I’d settle for a Honda S660 in America, but I’m not sure which dream is more unrealistic.